Vancouver, BC (April 22, 2015) – For the fourth year running, the team at Hawksworth Restaurant was honoured yesterday with ‘Gold’ for Best Upscale Restaurant at the annual Vancouver Magazine Awards. Also recognized was Hawksworth’s Wine Director, Bryant Mao, who was presented with the 2015 Sommelier of the Year Award. The Vancouver Magazine judging panel this year acknowledged that at Hawksworth Restaurant “the man and the room are now, quite simply, institutions in the best sense, which is why Hawksworth (Gold) has topped this category in all four years of its existence”. “It never disappoints,” says one judge and it’s “top of its game, David is one of North America’s best chefs”. Hawksworth’s Wine Director Bryant Mao was also bestowed the accolade of Sommelier of the Year. Bryant acknowledged that winning this award is a team effort and thanked the Chef Hawksworth and General Manager, Chad Clark, for allowing him the freedom and platform to create a world-class wine program. Bryant adds, “we will keep working hard, pushing boundaries and upping the standard of wine service at Hawksworth going forward into the future”. Vancouver Magazine called Mao’s wine cellar “awe-inspiring” and his tableside demeanor “gracious”. General Manager Chad Clark when accepting the award yesterday on behalf of Hawksworth Restaurant acknowledged that “our over 100 staff members and their exceptional hard work is what allows us to continue to achieve success at our restaurant year after year and I extend my personal thanks to the entire team”. 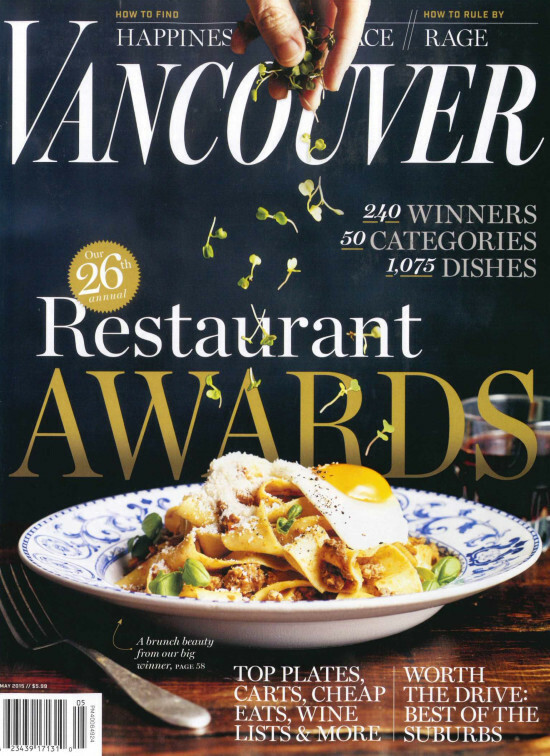 Held at the Sheraton Wall Centre yesterday evening, these 26th Anniversary Vancouver Magazine Awards reinforces Hawksworth Restaurant’s position as Vancouver’s leading dining venue and are a tremendous measurement of success for the team.